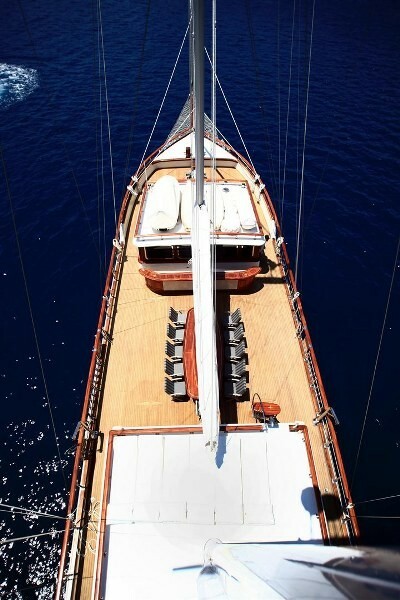 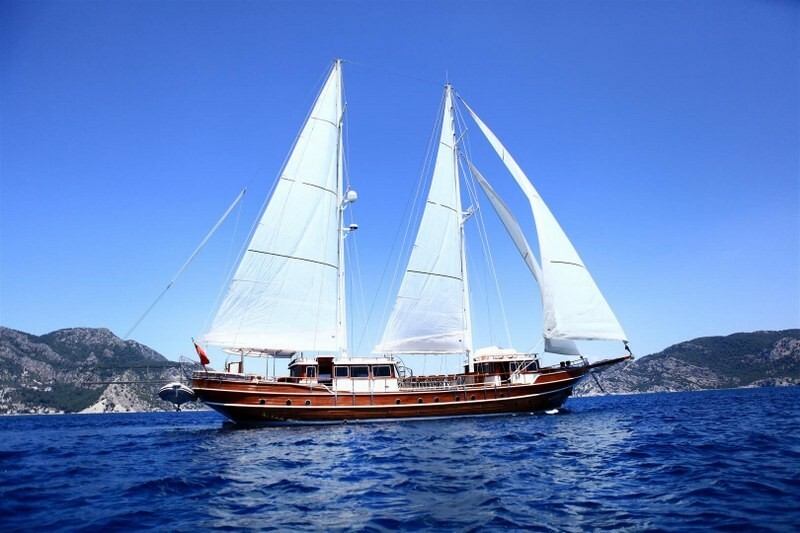 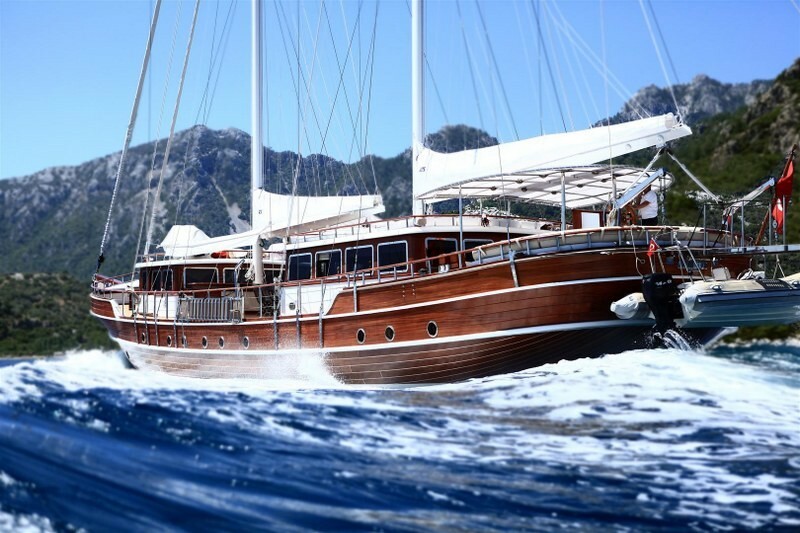 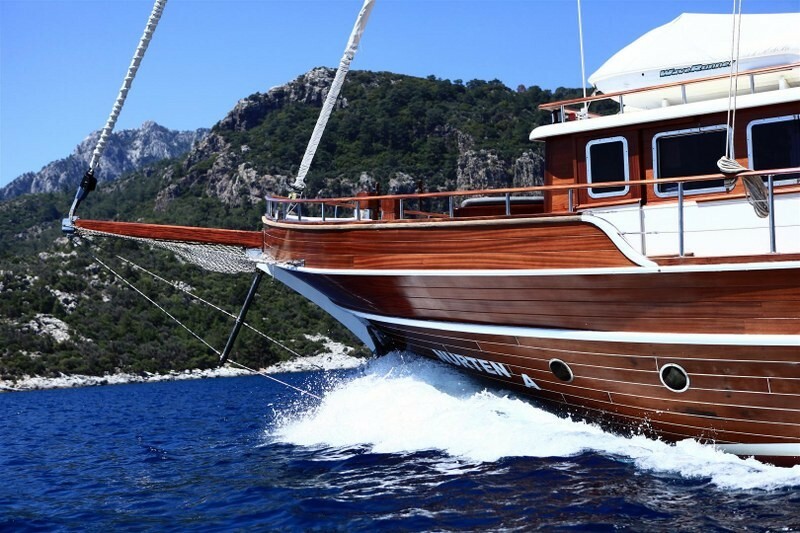 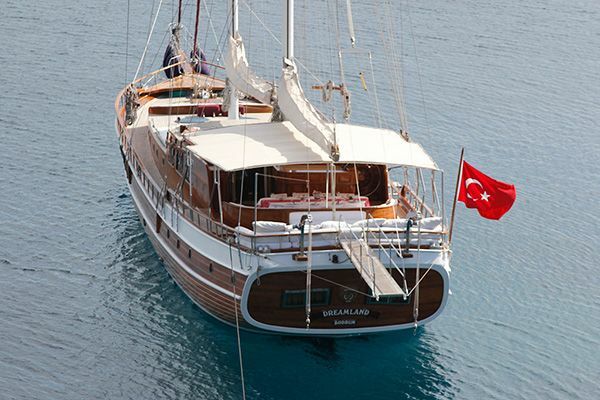 The deluxe gulet Nurten A is an outstanding gulet of the Marenostrum fleet which carries up to twelve guests in luxury and style of an all-inclusive gulet charter holiday. 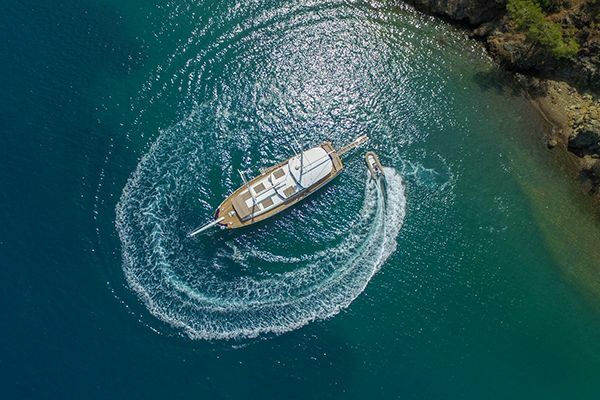 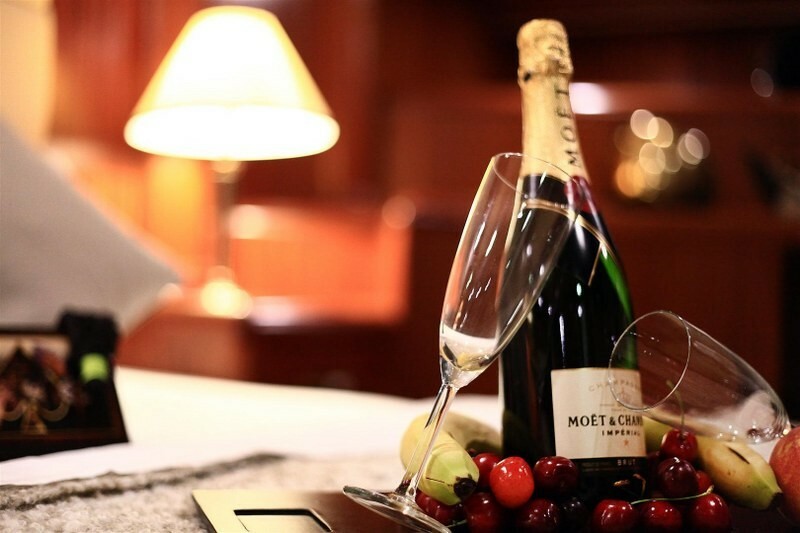 The distinctive deck design of two superstructure cabins, one forward for the galley and navigation, and one for the elegant and spacious indoor seating and dining saloon, make her stand out in any bay. 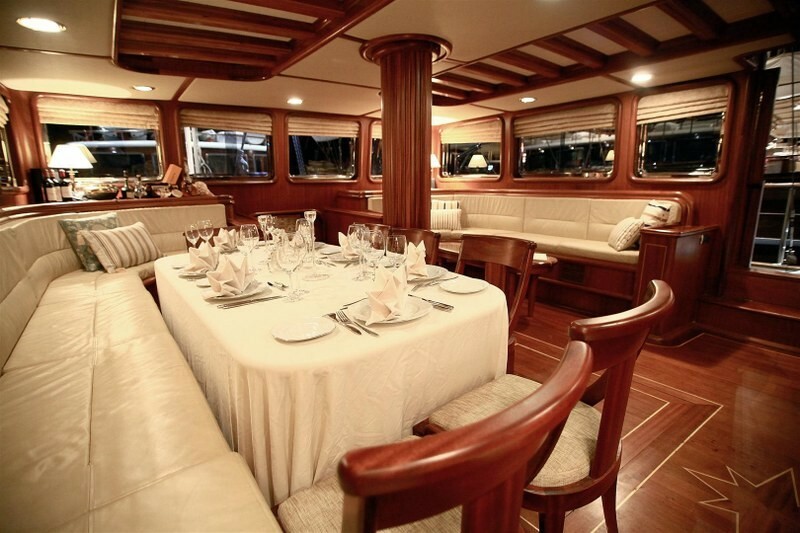 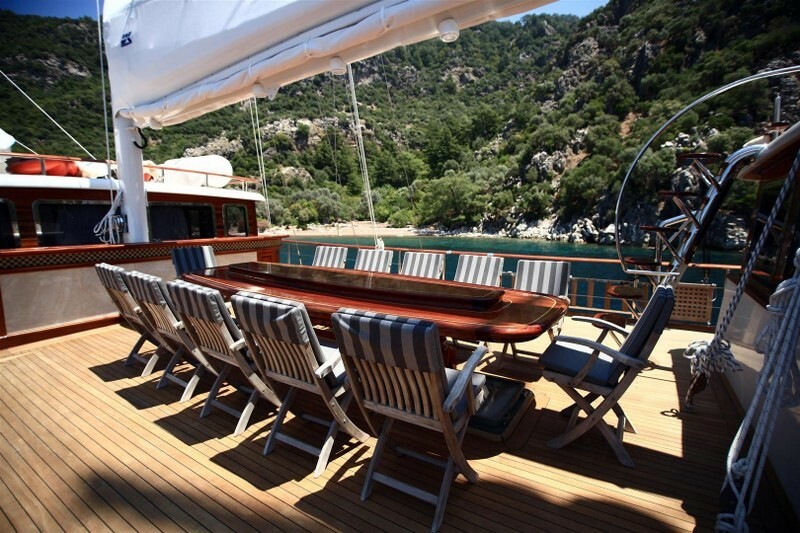 The long outdoor dining table on luxurious yacht Nurten A is located between the two deck cabins, and the two masts, so guests enjoy long and magnificent meals dining under the awnings or the stars. 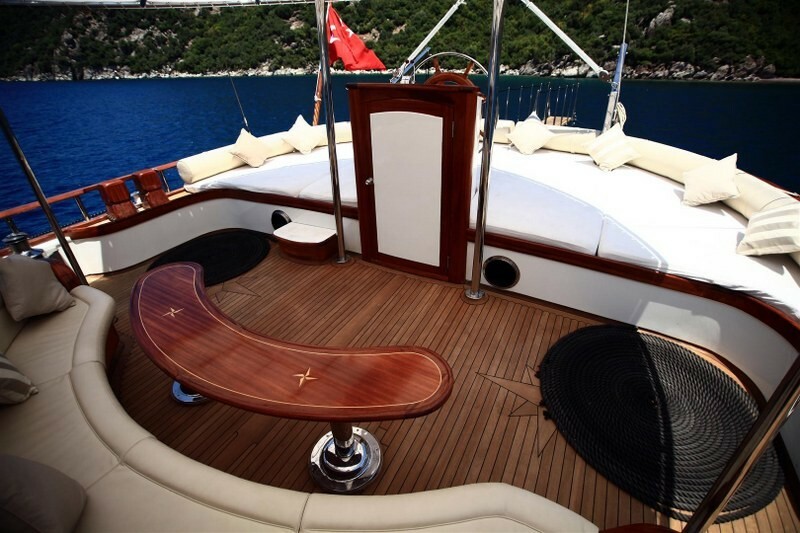 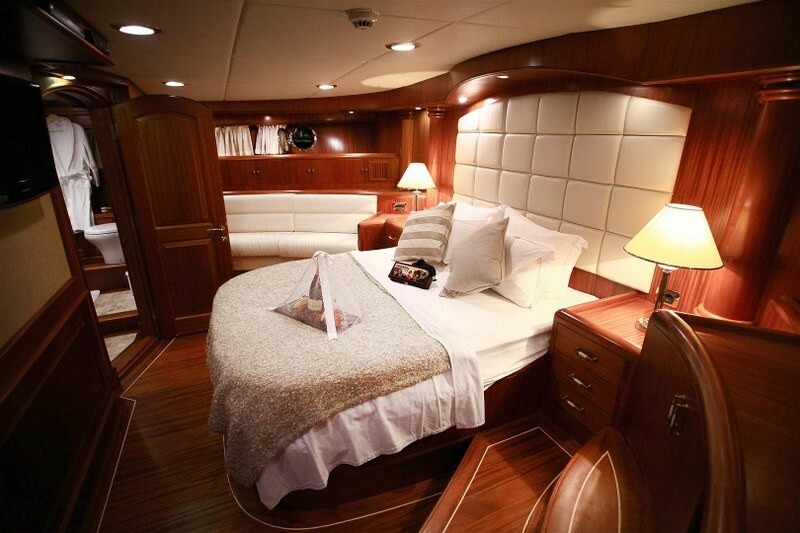 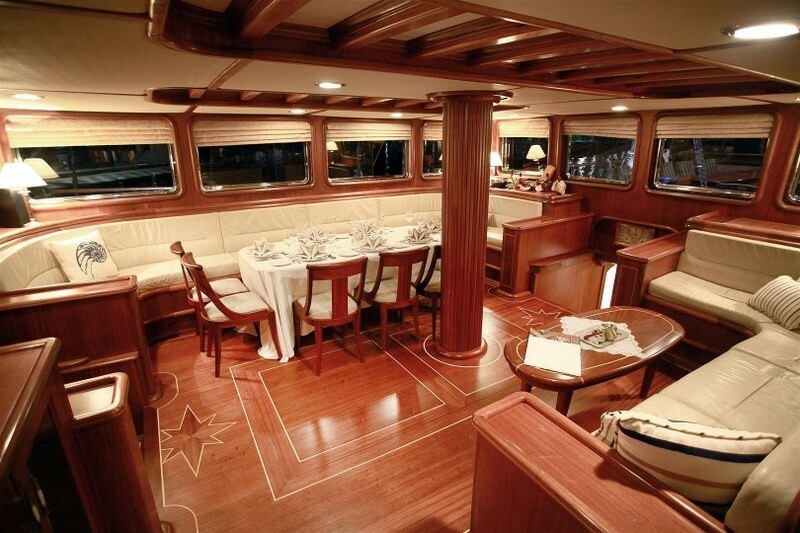 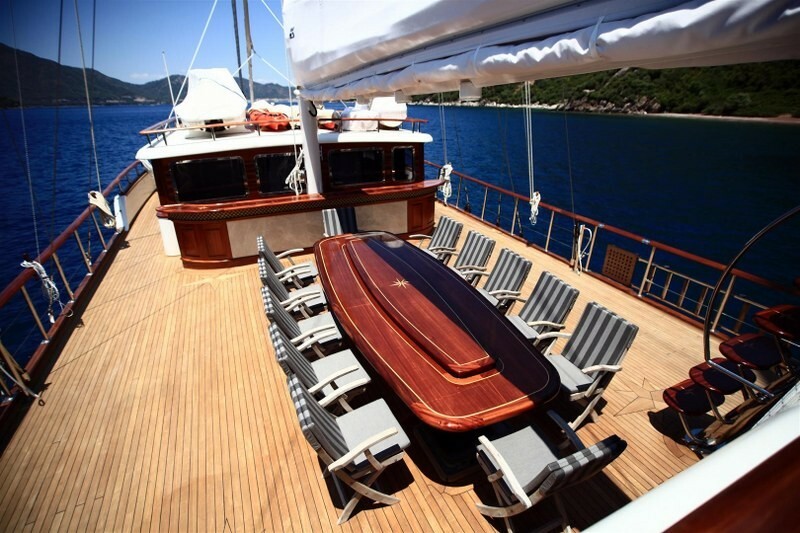 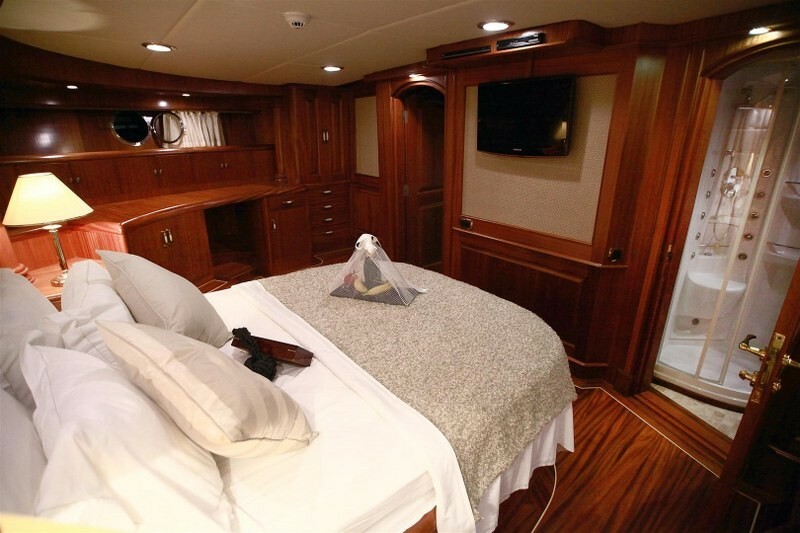 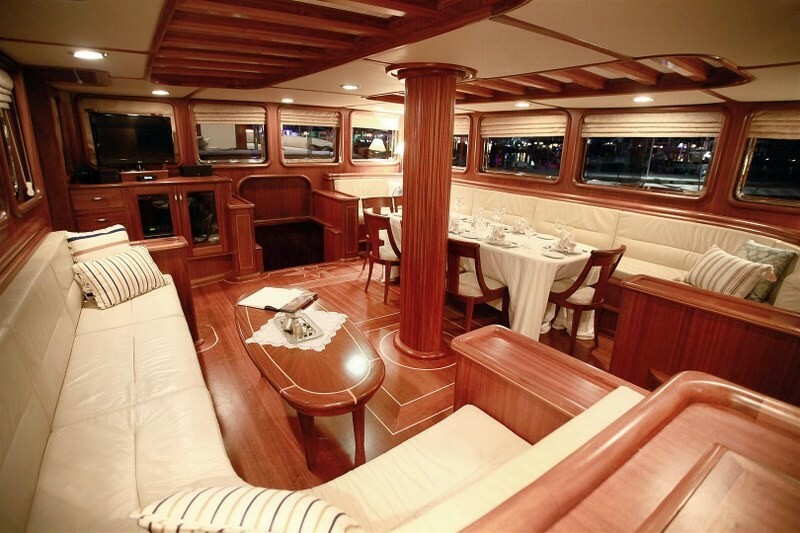 The aft deck has two curved seating pads facing each other under the fixed awning to form a conversation and relaxing zone on the stern, while another is in the bow. 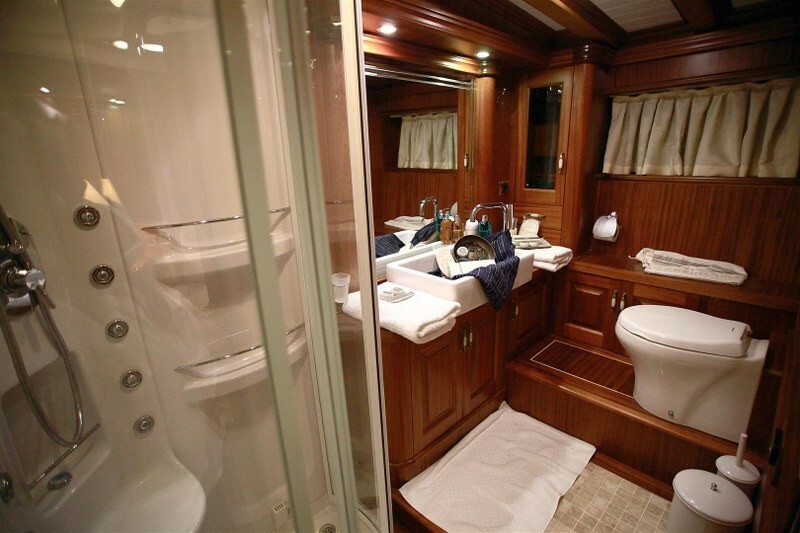 Sunbeds for all guests are reached by a stairway to above the saloon. 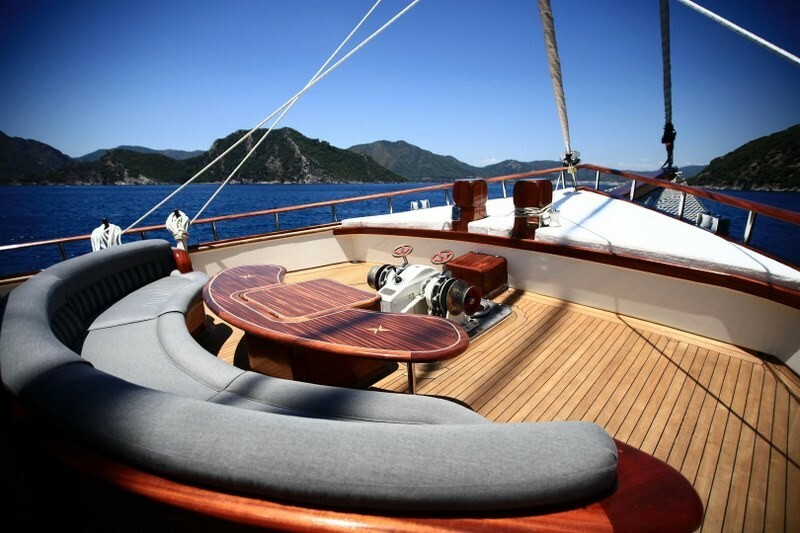 The different areas give a remarkable sense of space and movement around the gulet, allowing for guests both time together and quiet times. 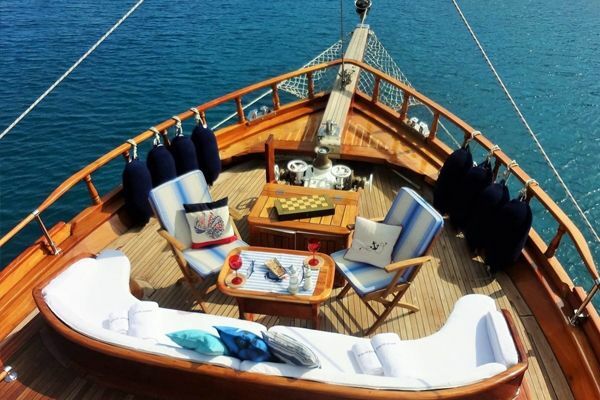 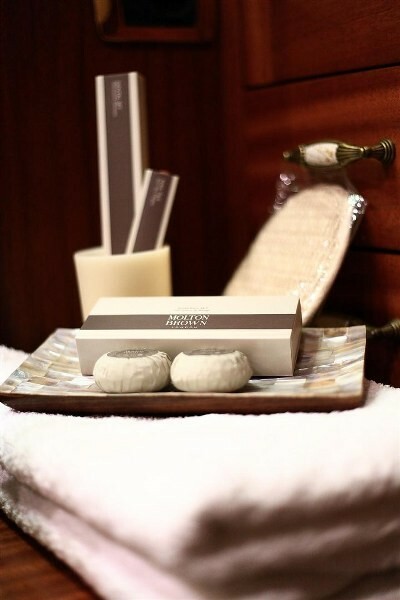 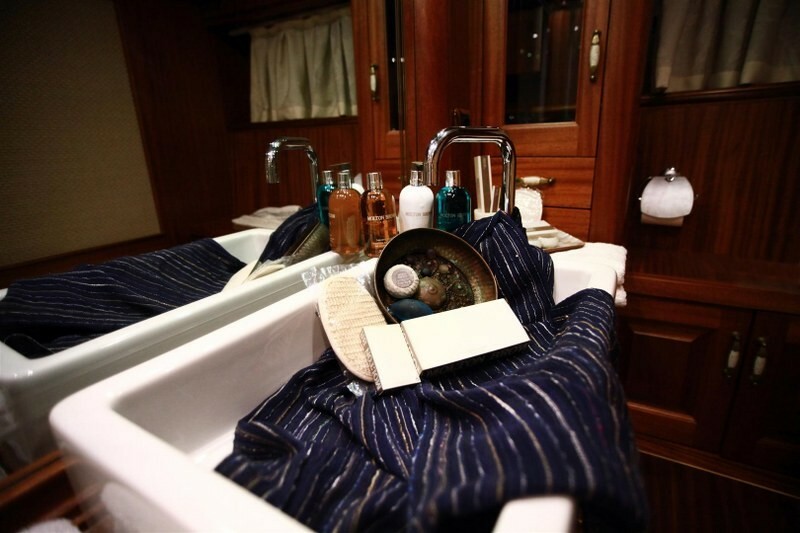 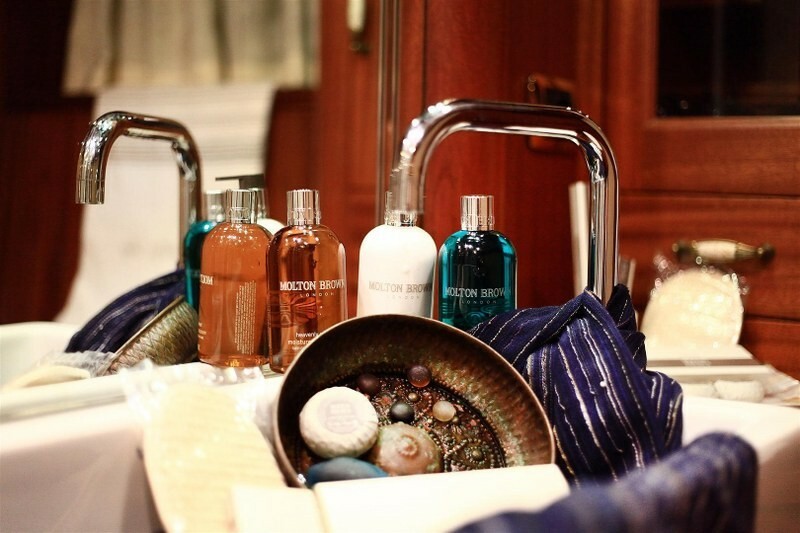 With the whole gulet refurbished in recent years, the cabins have been decorated in a crisp, clean nautical yet luxurious finish and fitted to the peak of modern comfort. 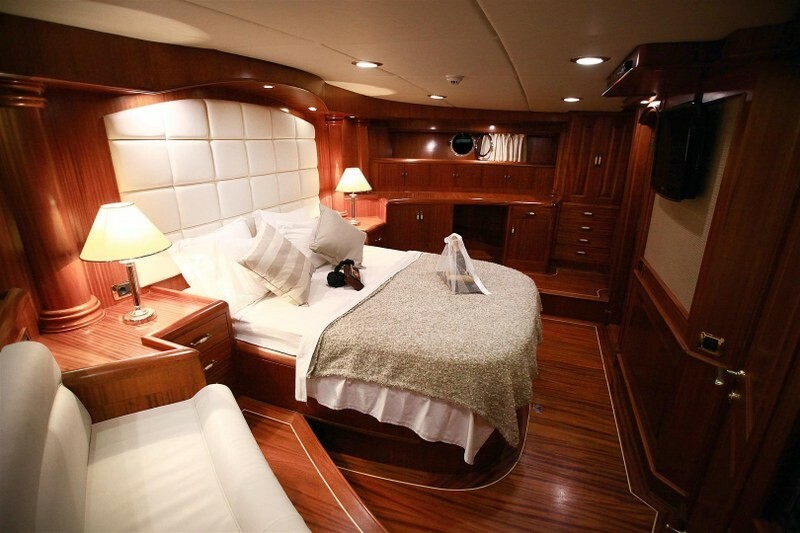 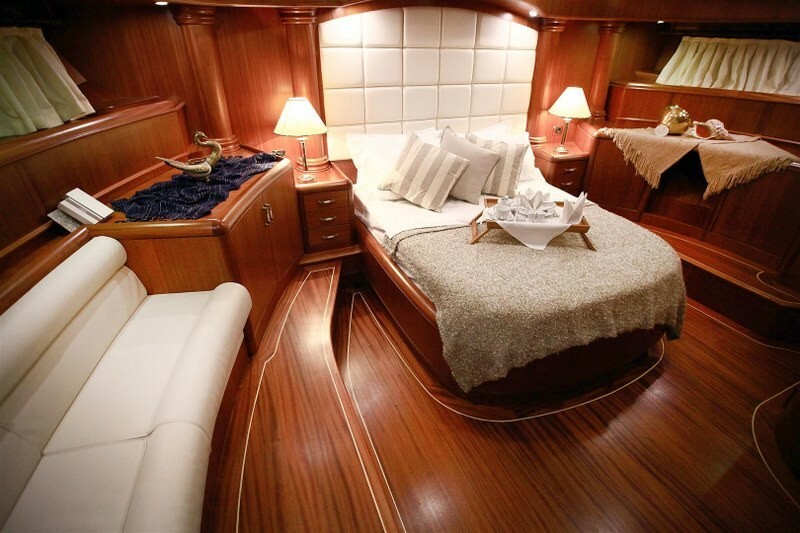 They are arranged with the large master and double cabins divided between the fore and aft sections again allowing space and privacy in the group. 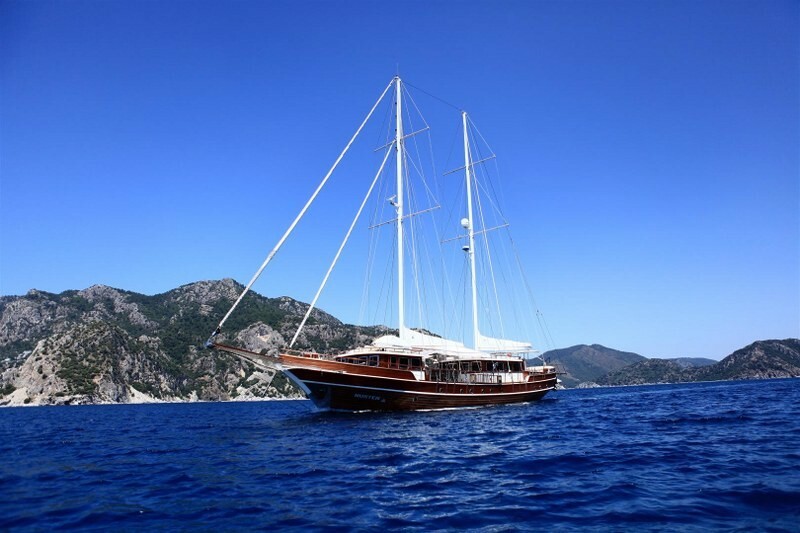 The captain and crew of four on deluxe Turkish gullet Nurten A make the guests’ experience complete with excellent but discrete service, presenting superb meals each day, drinks service, cleaning and all sailing, and assisting with all activities, the water sports and exploration ashore. 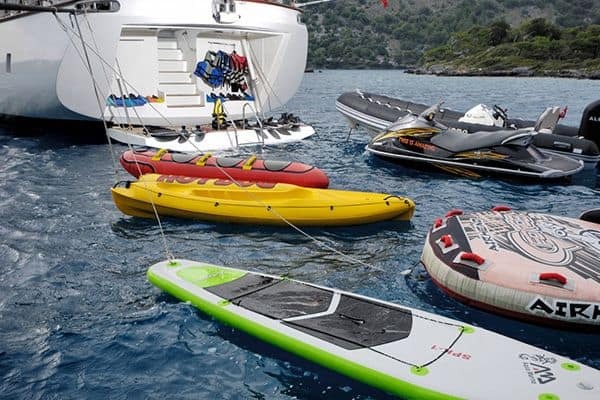 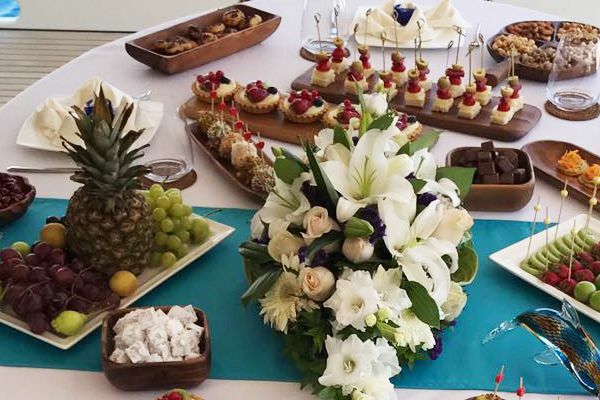 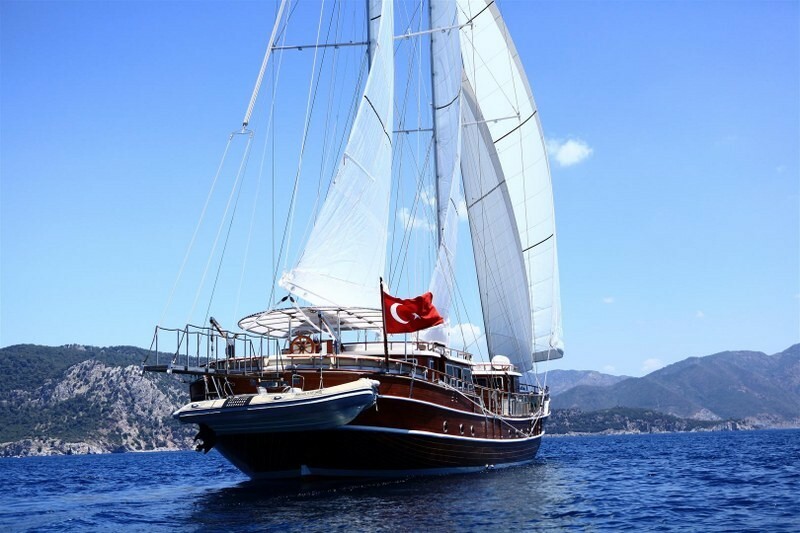 A crewed charter cruise on Nurten A gulet around the enchanting coast and bays of southwest of Turkey and into the Greek Islands of the Dodecanese, is a cruise made to delight and refresh everyone on their holidays, and dream of returning.